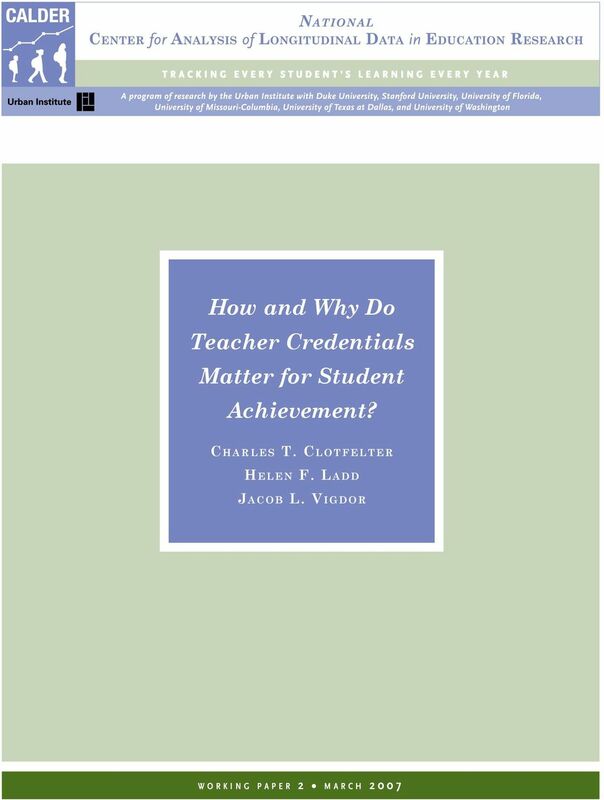 Download "How and Why Do Teacher Credentials Matter for Student Achievement? 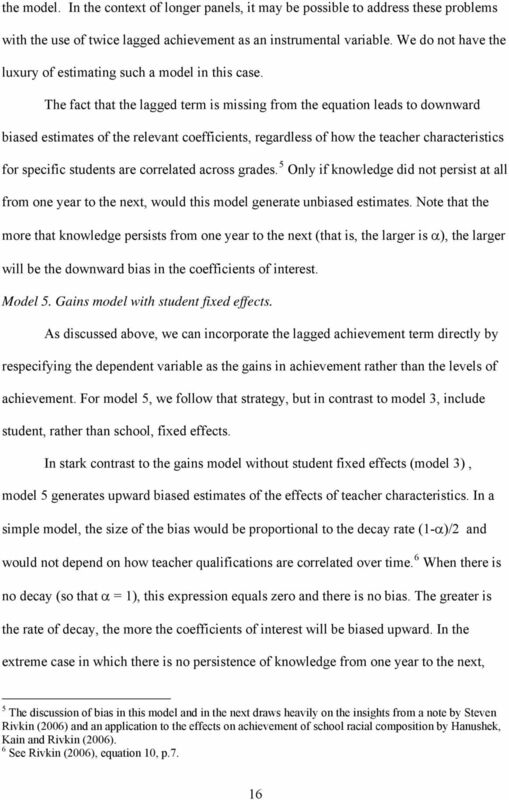 C h a r l e s T. Clotfelter"
Teacher Effects: What Do We Know? 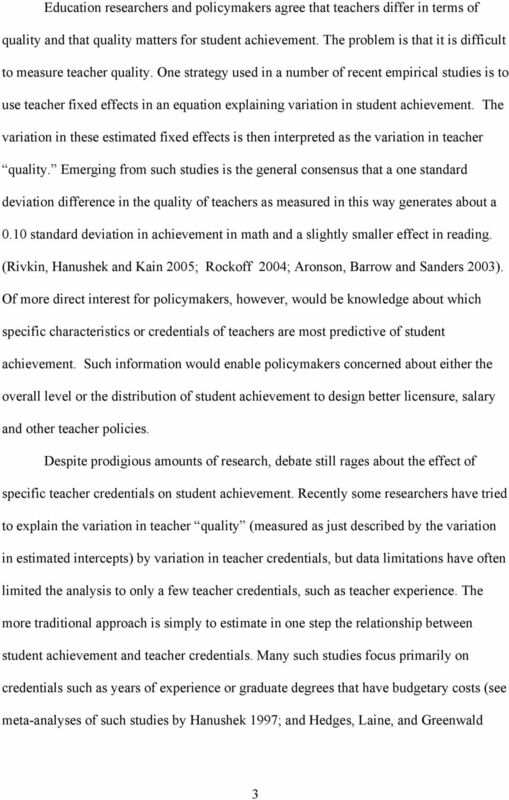 Can Teacher Quality Be Effectively Assessed? 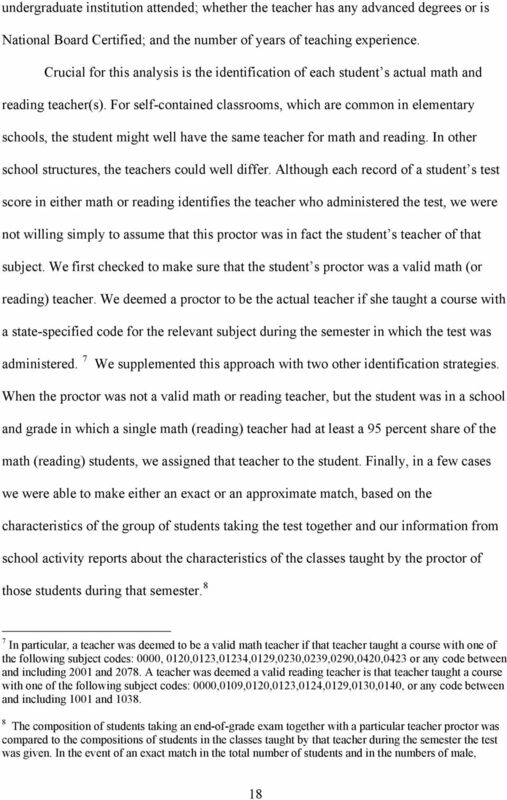 WORKING P A P E R. Teacher Quality, Teacher Licensure Tests, and Student Achievement RICHARD BUDDIN, GEMA ZAMARRO WR-555-IES. 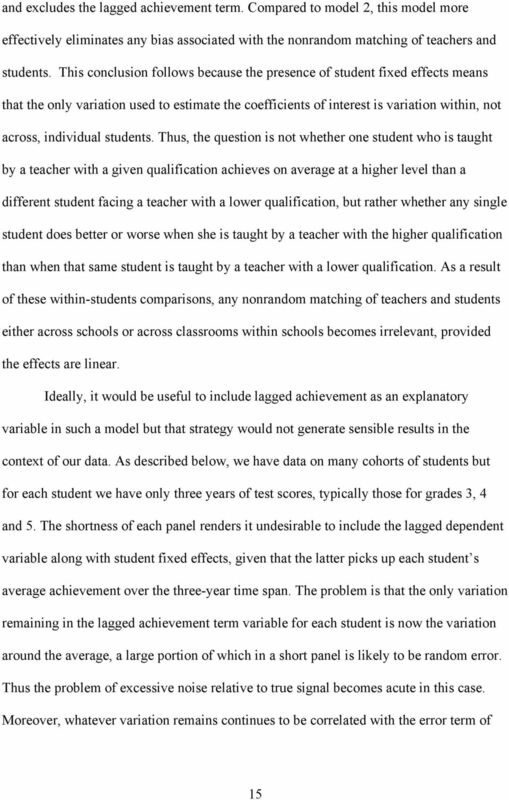 Which Teacher Qualifications Matter in China? 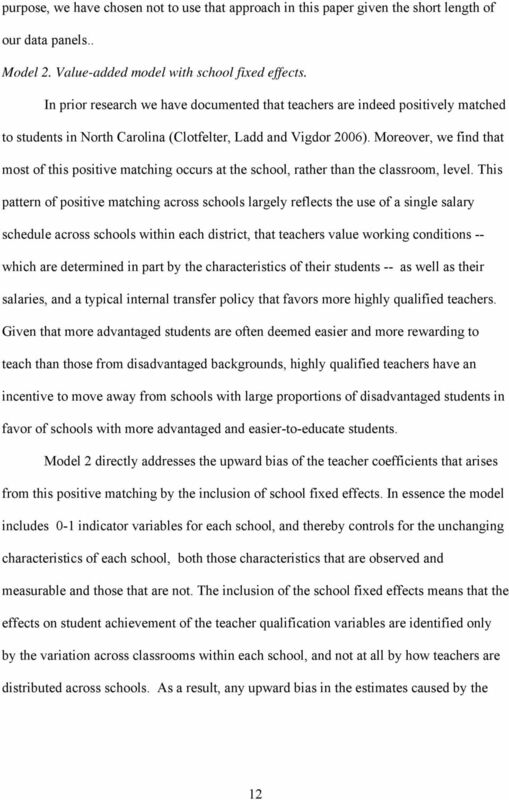 Promotion and reassignment in public school districts: How do schools respond to differences in teacher effectiveness? 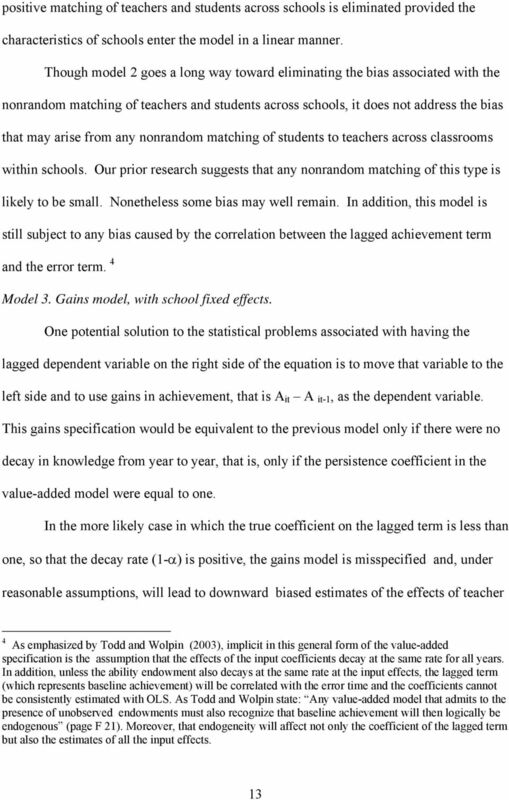 Gains in novice teacher effectiveness: On-the-job development or less effective teachers leaving? Public Housing and Public Schools: How Do Students Living in NYC Public Housing Fare in School? 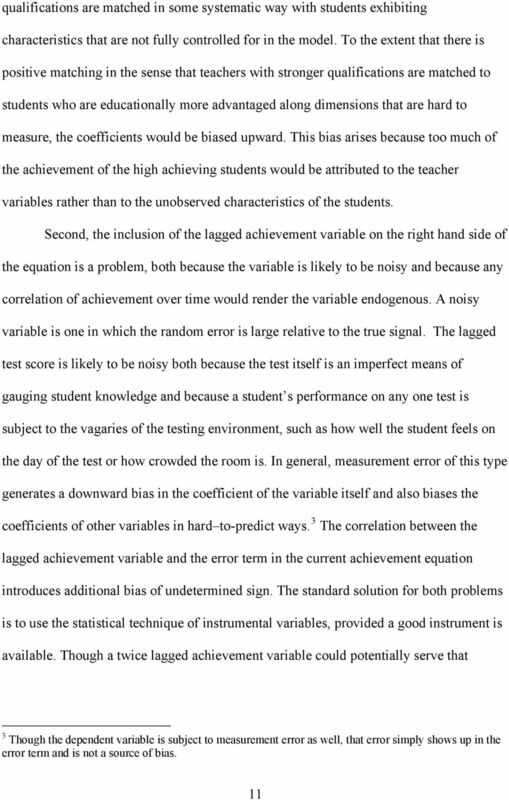 Proceedings of the Annual Meeting of the American Statistical Association, August 5-9, 2001 WORK EXPERIENCE: DETERMINANT OF MBA ACADEMIC SUCCESS? 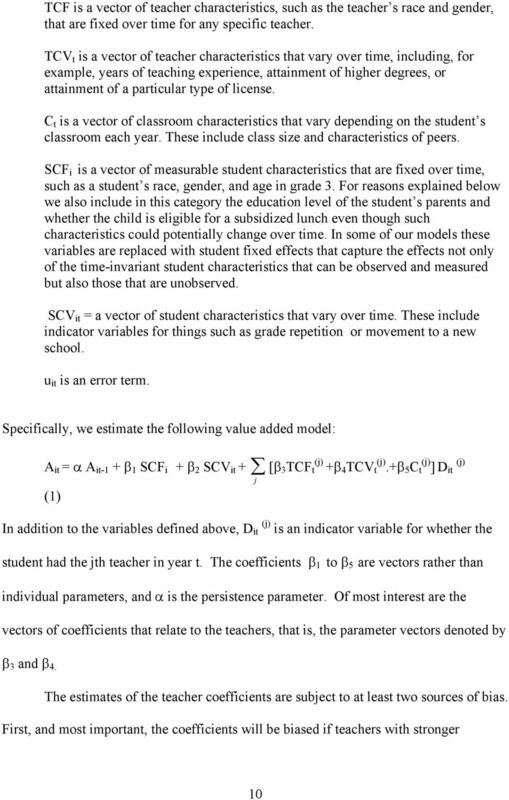 Evaluating the Impact of Charter Schools on Student Achievement: A Longitudinal Look at the Great Lakes States. Appendix B. 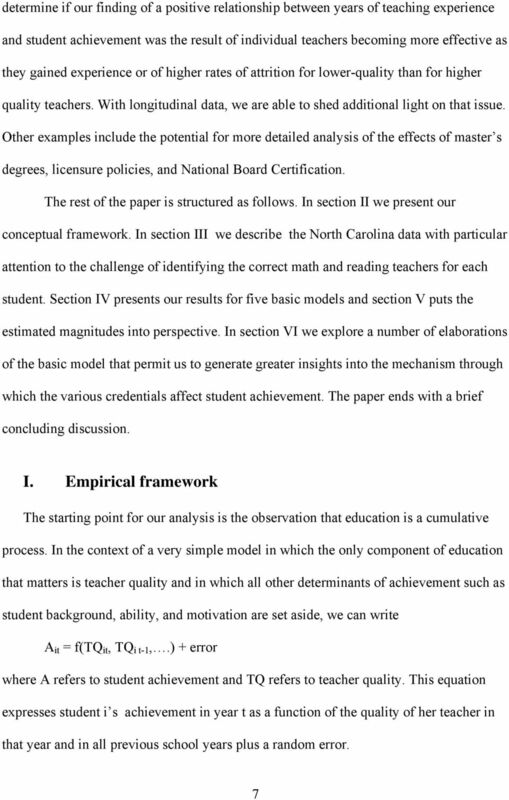 Peer Reviewed The three co-authors are members of the faculty at the University of South Carolina Upstate. 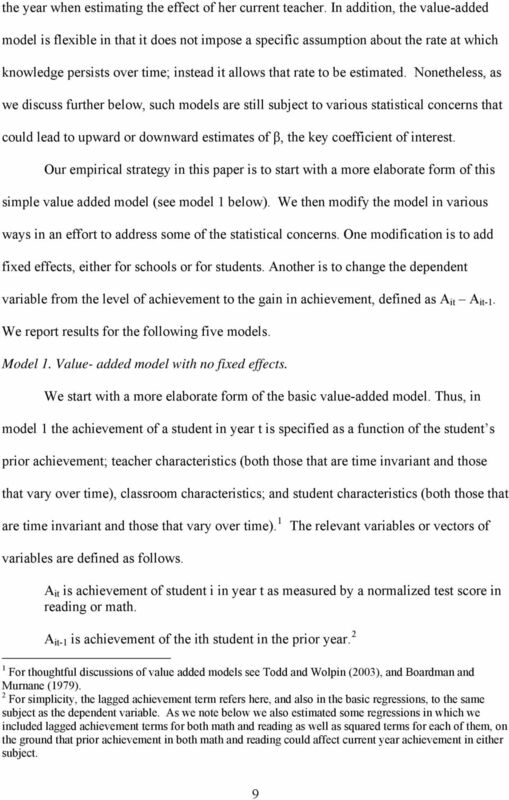 William R. Word and Sarah P. Rook (srook@uscupstate.edu) are Professors of Economics. 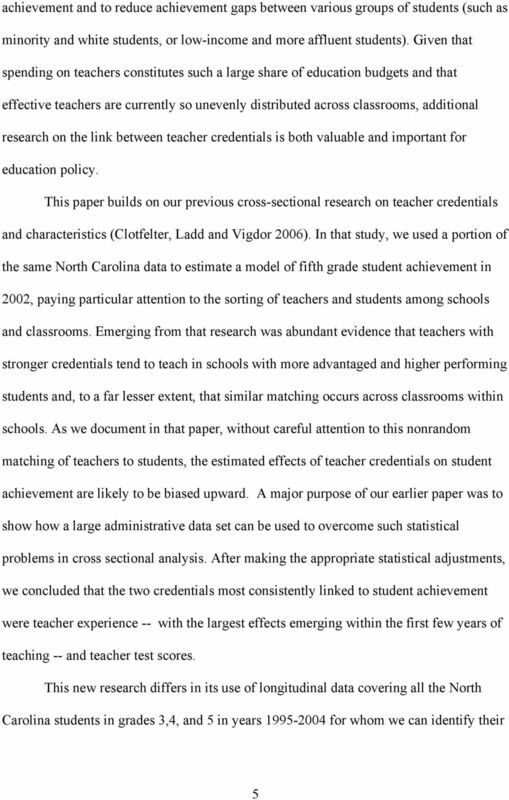 Lilly M.
Teachers Perceptions of Their Working Conditions: How Predictive of Policy-Relevant Outcomes? Constrained Job Matching. 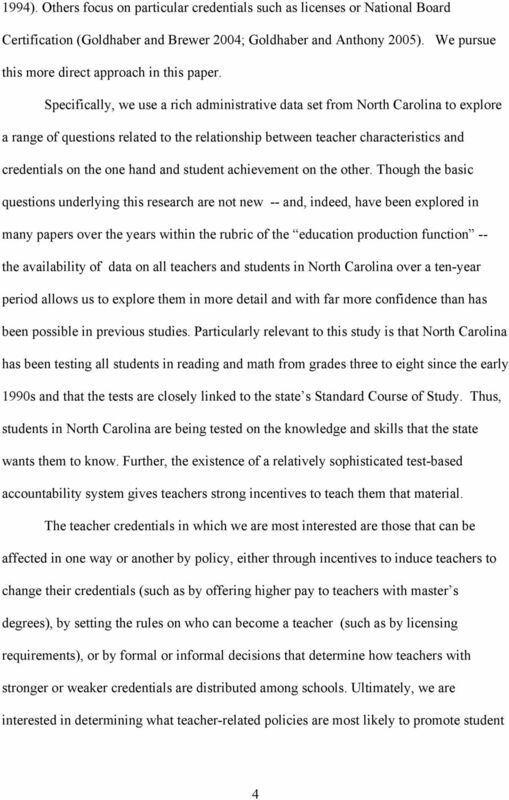 Does Teacher Job Search Harm Disadvantaged Urban Schools? IBO. 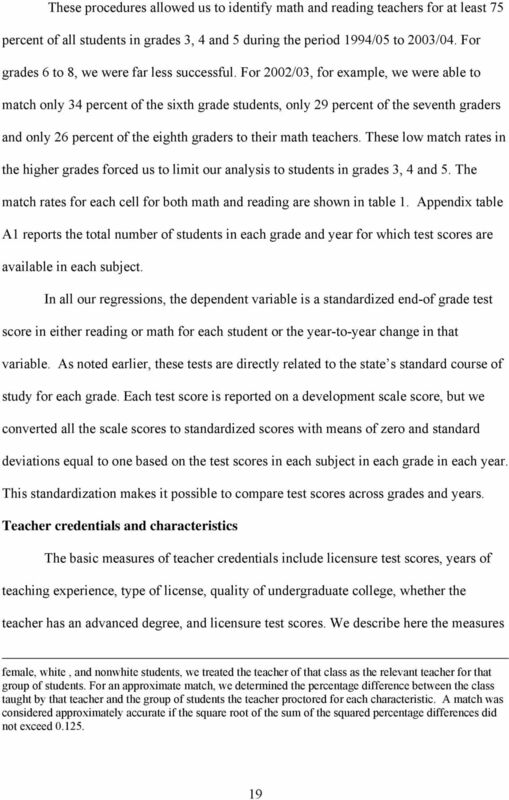 A Statistical Portrait of Uncertified Teachers in New York City Schools. New York City Independent Budget Office Policy Brief. 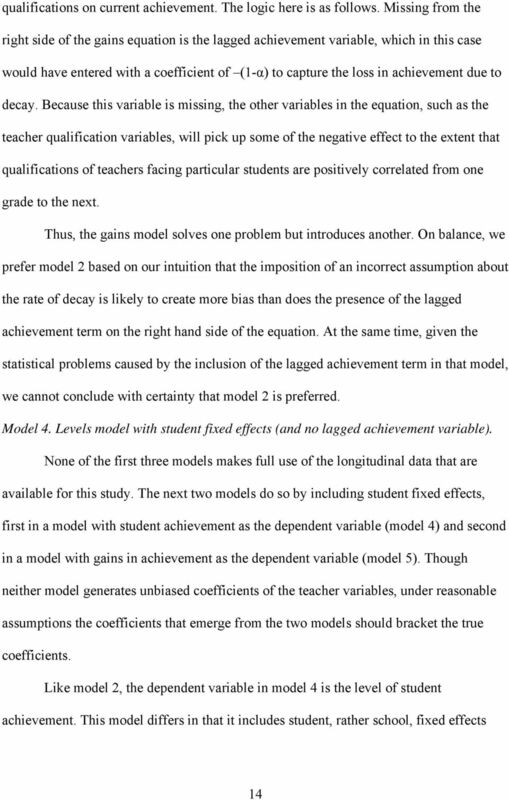 Evaluating the Effect of Teacher Degree Level on Student Achievement in Taiwan. 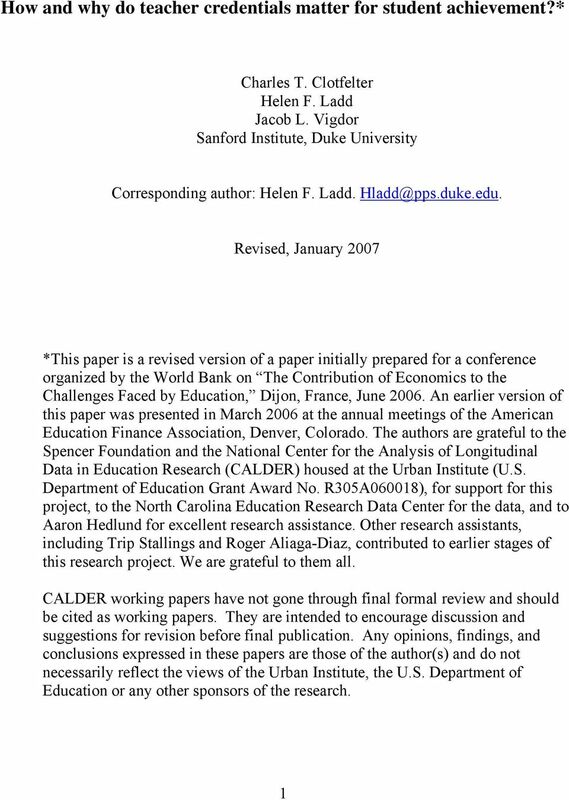 FEDERAL RESERVE BANK OF SAN FRANCISCO WORKING PAPER SERIES Lost in Translation? 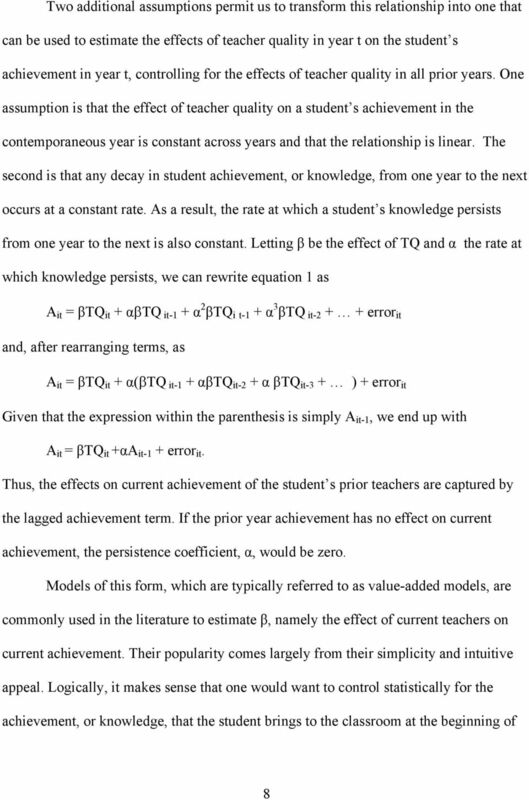 Teacher Training and Outcomes in High School Economics Classes Robert G. Valletta Federal Reserve Bank of San Francisco K.